Ken Albala, Professor of History, has been appointed as a visiting distinguished scholar at the Folger Shakespeare Library in Washington, D.C., as a part of the interdisciplinary collaborative research project "Before 'Farm to Table': Early Modern Foodways and Cultures," which is supported by the Andrew W. Mellon Foundation. Martín Camps, Professor of Latin American Studies and Modern Languages and Literature, authored the short story, "Union Station," which was a finalist in the "We are all Migrants" contest sponsored by Benma Publishers in Mexico. His story was selected from among 750 other international submissions and will be included in an anthology published this summer. Daniel Jontof-Hutter, Assistant Professor of Physics, was awarded 20 hours of time to use the Hubble Space Telescope to study a distant exoplanet orbiting the star Kepler-79, which is 2,000 light years from Earth. The goal was to observe the exoplanet as it was passing directly in front of the star to detect the chemical signature of water vapor in the exoplanet while its atmosphere was backlit by the star. The exoplanet orbits Kepler-79 more closely than Mercury orbits the Sun, but is mostly gas. Telescopes on the ground are not able to see water in the atmosphere of an exoplanet because water in the Earth's atmosphere covers the chemical signature of water in the starlight. Jane Khudyakov, Assistant Professor of Biological Sciences, was awarded a $57,000 grant from the Office of Naval Research Defense University Research Instrumentation Program for the project "Quantitative Gene Expression System for State-of-the-Art Biomarker Research and Development at an Undergraduate Institution." This award will be used to obtain equipment to support Khudyakov's research program on molecular markers of stress in marine mammals. Steven Sadowsky, Professor of Preventive and Restorative Dentistry, was selected by Loma Linda University School of Dentistry as the recipient of the Kenneth Wical Award for Excellence of Prosthodontics. The award, presented to him on May 22, recognizes individuals who have made significant contributions to the specialty of prosthodontics. Linda Carter, Distinguished Professor of Law Emerita, had her co-authored book, The International Criminal Court in an Effective Global Justice System, featured in a New York Times book review written by Aryeh Neier, Holocaust survivor and co-founder of Human Rights Watch. Michael P. Malloy, Distinguished Professor of Law, had his article, "Foreword: ... and Backward: Death and Transfiguration among the Savings Associations," previously published in the Fordham Law Review (59), cited and discussed in an article by Albert F. Tellechea and Michael J. Cortés, "Bank Frauds and Tracking the Hidden Assets," published in the Florida A & M University Law Review (12). Melanie A. Felmlee, Assistant Professor of Pharmaceutics and Medicinal Chemistry, has been awarded a Pacific Scholarly/Artistic Activities Grant for her proposal "Comparison of diet-induced obesity models for evaluating pediatric drug disposition." Johanna Bakmas '09, Associate Director of Development and Alumni Relations Communication, Scott Rivinius, former Associate Vice President for Development and Alumni Relations, Jaslyn Gilbert, University Photographer, Elizabeth Bacon, Director of Campaign Operations, and consulting group Lipman Hearne received a Silver Award from the Council for Advancement in Support of Education (CASE) District VII board of directors and the CASE Awards of Excellence Committee for the Leading with Purpose campaign brochure. Only 192 publications among 500 submissions in 13 categories and 66 subcategories received awards. James Graham, Water Polo Head Coach, was named Golden Coast Conference Coach of the Year for women's water polo during the GCC Conference Championships. He also received this honor for men's water polo in December. Feilin Hsiao, Associate Professor of Music Therapy, was appointed to serve a six-year term on the editorial board of Music Therapy Perspectives, a journal published by the American Music Therapy Association. Francis J. Mootz III, Professor of Law, has been appointed to serve on the State Bar of California's Malpractice Working Group, which has been charged to prepare a Report to the California Supreme Court and the Legislature regarding the desirability of requiring attorneys to maintain malpractice insurance. The Group will hold several meetings in Los Angeles and several in San Francisco before presenting its report in March 2019. Jarrod Wong, Professor of Law, is co-chairing and organizing the American Society of International Law (ASIL) 2018 Research Forum and mid-year meeting at the UCLA School of Law in November. As co-chair of the ASIL International Economic Law Interest Group, Wong is organizing the 2018 biennial conference of the ASIL's International Economic Law Interest Group at McGill Law School in Montreal, Canada, in September. He was elected to the Executive Council of the ASIL in April at the 2018 Annual Meeting, where he also moderated two panels: "International Arbitration in the Asia-Pacific: Prospects & challenges of a dynamic field," and "Career and Secondment Opportunities in International Economic Law." Jacalyn Griffen, Coordinator of Credential Services, has been elected to serve a two-year term as secretary of the Action Research Interest Special Interest Group #2 of the American Educational Research Association (AERA). The AERA, a national research society, strives to advance knowledge about education, to encourage scholarly inquiry related to education and to promote the use of research to improve education and serve the public good. Peter Hilsenrath, Joseph M. Long Chair of Healthcare Management and Professor of Economics, and PharmD/MBA students Jillian Dam and Jaslin Gosal participated in the 2018 National Association of Chain Drug Stores (NACDS) RxIMPACT Day on Capitol Hill event March 7–8 at the Marriott Marquis in Washington, D.C. While there, they met with House and Senate representatives and staff to discuss pharmacy and health-related issues such as opioid abuse and pharmacists as providers. Jessica Grady, Assistant Professor of Psychology, co-authored the paper "Becoming prosocial peers: Temperamental shyness and mothers' and fathers' elaborative emotion language" in the journal Social Development. Grady and alumnae Malina Her '15, Geena Moreno '15, Katie Perez '16 and Jillian Yelinek '17 published the research article, "Emotions in storybooks: A comparison of storybooks that represent ethnic and racial groups in the United States," in the journal Psychology of Popular Media Culture. This article examined emotion displays in popular U.S. storybooks and found that when, how, and which emotions were portrayed varied by whether the main characters in the story were depicted as African American, Asian American, European American, or Hispanic and Latino. Collectively, findings suggest that children may receive culturally specific emotion messages as they are read storybooks. Ryan Hill, Associate Professor of Biological Sciences, and Cassidi Rush '18 were co-authors of the paper "Frequency dependence shapes the adaptive landscape of imperfect Batesian mimicry" about their work with mimicry in Adelpha butterflies, which has been published in Proceedings of the Royal Society B.
Jane Khudyakov, Assistant Professor of Biological Sciences, co-authored the article "Adipose Transcriptome Analysis Provides Novel Insights into Molecular Regulation of Prolonged Fasting in Northern Elephant Seal Pups" in the journal Physiological Genomics (April 2018). This paper describes molecular changes that occur in adipose tissue of weaned elephant seal pups during a month-long fasting period on land prior to their first foraging trip at sea. Alan Lenzi, Professor of Religious Studies, published "Material, Constellation, Image, God: The Fate of the Chosen Bull according to KAR 50 and Duplicates," in the edited volume The Scaffolding of Our Thoughts: Essays on Assyriology and the History of Science in Honor of Francesca Rochberg (Leiden: Brill, 2018), 58–96. In the essay, Lenzi published a new cuneiform source and a close rhetorical analysis of the ritual-prayer under study. Traci Roberts-Camps, Professor of Modern Languages and Literature, had the article "Interview and Introduction with Ecuadorian Filmmaker Alex Schlenker" accepted for publication in the journal Studies in Latin American Popular Culture (2019–20). Balint Sztaray, Professor of Chemistry and Director of the Honors Program, co-authored the article "Photo-tautomerization of acetaldehyde as a photochemical source of formic acid in the troposphere," published in Nature Communications. Elisa Toloba, Assistant Professor of Physics, led an international team to measure the dark matter content of ultra-diffuse galaxies (UDGs) in the Virgo cluster of galaxies. Only measurements for three UDGs were available previous to this analysis, which has provided new clues that suggest that UDGs may be a diverse population with different origins and evolution than other galaxy families. Their research article, "Dark Matter in Ultra-Diffuse Galaxies in the Virgo Cluster from their Globular Cluster Populations," was accepted for publication in The Astrophysical Journal Letters. Liang Xue, Associate Professor of Chemistry, and Geoff Lin-Cereghino and Joan Lin-Cereghino, professors of Biological Sciences, co-authored the research article "Synthesis of nucleobase-neomycin conjugates and evaluation of their DNA binding, cytotoxicities, and antibacterial properties" published in Medicinal Chemistry Research. Student co-authors were Siwen Wang '18, Mandeep Singh '20, Mingheng Ling '18, Danni Li '18, and Krege Christison '20. James Haffner, Professor of Opera, published his research article "Musical Synthesis of the Michael Chekhov Technique" in the International Association of Theatre Critics journal, Critical Stages. Meixun Sinky Zheng, Assistant Professor of Diagnostic Sciences, and Daniel Bender, Assistant Dean for Academic Affairs, published the article "Evaluating outcomes of computer-based classroom testing: Student acceptance and impact on learning and exam performance" in Medical Teacher. Leslie Gielow Jacobs, Professor of Law, will have her article "Making Sense of Secondary Effects Analysis after Reed v. Town of Gilbert," which was previously published in the Santa Clara Law Review (57, 2017), republished in Thomson Reuters' Zoning and Planning Law Handbook, an annual softbound publication containing law review articles published in the preceding year that represent important contributions to the literature of zoning and land use law. Michael P. Malloy, Distinguished Professor of Law, had the second of four 2018 supplements to his three-volume treatise Banking Law and Regulation (2d ed.) published by Wolters Kluwer. Francis J. Mootz III, Professor of Law, had the article "Judging Well" accepted for publication by the Washington University Jurisprudence Review, (11,1) fall 2018. His article, "Ethical Cannabis Lawyering in California," has been commissioned for the annual Symposium Issue of the St. Mary's Journal on Legal Malpractice and Ethics. Mootz will present the article at the Symposium in January 2019. 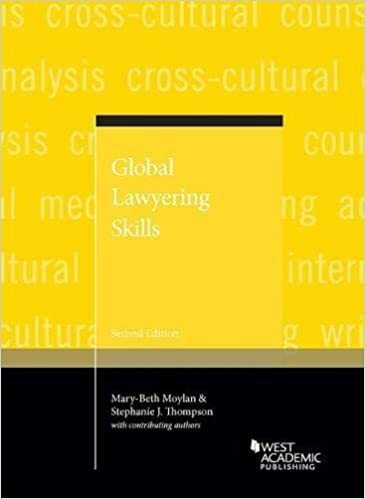 Mary-Beth Moylan, Professor of Lawyering Skills, and Stephanie Thompson, Professor of Lawyering Skills, co-authored the coursebook Global Lawyering Skills, second edition, which was published by West Academic Publishing. All McGeorge global lawyering skills faculty are contributing authors. 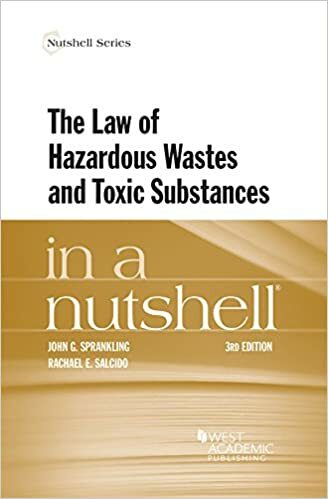 John Sprankling, Distinguished Professor of Law, and Rachael Salcido, Professor of Law and Associate Dean for Faculty Scholarship and Diversity Initiatives, coauthored the book The Law of Hazardous Wastes and Toxic Substances, third edition, published by West, March 2018. It is part of West's "in a nutshell" series. Eric G. Boyce, Professor of Pharmacy Practice and Associate Dean for Academic Affairs; Yvonne Mai '13, '15, Assistant Professor of Pharmacy Practice and Regional Coordinator for Stockton; and Christopher Pham '15 published the article "Abaloparatide: Review of a Next-Generation Parathyroid Hormone Agonist" in the Annals of Pharmacotherapy. William K. Chan, Professor and Chair of Pharmaceutics and Medicinal Chemistry, co-authored the article "p23 protects the human aryl hydrocarbon receptor from degradation via a heat shock protein 90-independent mechanism" published in Biochemical Pharmacology. Adam Kaye '95, Clinical Professor of Pharmacy Practice, co-authored the article "Challenges and concerns of persistent opioid use in cancer patients" published in the Expert Review of Anticancer Therapy. Elaine Law, Assistant Clinical Professor of Pharmacy Practice and Regional Coordinator for San Jose, co-authored the chapter "Upper Gastrointestinal Disorders" in Applied Therapeutics: The Clinical Use of Drugs, 11th edition, December 2017. Zhu Zhou '14, Assistant Clinical Professor of Pharmaceutics and Medicinal Chemistry, co-authored the article "A comprehensive in vitro and in vivo metabolism study of hydroxysafflor yellow A," published in the Journal of Mass Spectrometry, February 2018. Said Shakerin, Professor of Mechanical Engineering, published the paper "Fluids Demonstrations: Trailing Vortices, Plateau Border, Angle of Repose, and Flow Instability" in the April 2018 issue of The Physics Teacher. The work reported was supported by a 2013 SAAG grant. Eileen Camfield, Director of University Writing Programs, and Leslie Bayers, Associate Director of the Center for Teaching and Learning, co-authored the article "Student Shaming and the Need for Academic Empathy," which is published in the journal Hybrid Pedagogy. Peggy Kay, Assistant Vice President of Technology Customer Experience, co-authored the article, "Building a Technology Strategy to Enable Next Generation IT," which was published in the February 2018 issue of the EDUCAUSE Review, a digital and bimonthly print publication for the higher education IT community. Kay's article examines how the strategic approach for technology at University of the Pacific involves advancing the mission of the institution, collaborating effectively with university stakeholders and improving overall practices that position constituents for success. Andreas Agocs, Visiting Assistant Professor of History, presented the paper "From Politics of Resistance to Cultures of Integration: Recent Trends in the Historiography of Antifascism" at the German Historical Institute's West Coast Workshop in Davis, California. Teresa Bergman, Professor of Communication, served as chair and respondent for the panel "It's the Media: It's Not All Fun and Games" and as a presenter on the Graduate Student Workshop panel for the Western States Communication Association Undergraduate Scholars Research Conference on Feb. 16 in Santa Clara, California. Cynthia Dobbs, Associate Professor of English, presented the paper "'Proleptic Decay and Decrepitude: Southern Time in Faulkner and S-Town" at the American Comparative Literature Association Conference at UCLA. She was also co-organizer of the "Temporalities" seminar at the conference. Cosana Eram, Associate Professor of Modern Languages and Literature, presented the paper "Consciousness in the Abyss: Benjamin Fondane and the Modern World" at the international conference Crossing Frontiers: Existential Philosophy, Poetry, and Visual Arts in the Works of Benjamin Fondane, a two-day event dedicated to author Benjamin Fondane held at the Yale Beinecke Library, which hosts Fondane's papers and manuscripts. Jennifer Helgren, Associate Professor of History, Edie Sparks, Vice Provost for Undergraduate Education, Josh Salyers, Digital Curator in the University Library, and student Ronald Sanchez '19 presented at a roundtable, "Sacramento‑San Joaquin Delta Histories," at the Organization of American Historians annual meeting. The presentation examined the creation of a digital history project, the Digital Deltas website at University of the Pacific, from the perspectives of history faculty, a library digital curator, the administration and an undergraduate student. The Digital Deltas Project is a collaborative effort to generate and embed digital history. Jeffrey Hole, Associate Professor of English, presented the paper, "William Grimes, Constitutive Forms, and the Ecologies of Law," at the C19 Conference held at the University of New Mexico. Courtney Lehmann, Professor of English and Director of the Powell Scholars Program, delivered a plenary presentation on "An 'élan of the soul'? Toward a feminist counter-cinema in Deepa Mehta's Water" at the Shakespeare Association of America conference, the largest annual gathering of Shakespeare scholars worldwide. Kevin Pontuti, Director of the Media X program, was a panelist on the Transmedia Storytelling Panel during the Sacramento International Film Festival, April 28–29. Transmedia storytelling is the technique of telling a single story or story experience across multiple platforms and formats, which is a core component of Media X. Pontuti's short film Vanita was also an official selection screened at the festival. Traci Roberts-Camps, Professor of Modern Languages and Literature, presented "Labyrinths of the Literary World: The Writings of Bárbara Jacobs" at the 23rd Annual Conference on Contemporary Mexican Literature at the University of Texas, El Paso. Caroline Schroeder, Professor of Religious Studies, delivered the lecture "The Children of Monks: Girls, Boys, and Families in early Egyptian Monasteries" to the Department of Theology at Fordham University in New York City in April. She delivered the keynote address "Annotating Heresies" at the conference Future Philologies held at the Institute for the Study of the Ancient World at New York University. Zach Stahlschmidt, Assistant Professor of Biological Sciences, co-authored the paper "Red imported fire ants (Solenopsis invicta) and seasonality influence community refuge use," which was accepted for publication in the peer-reviewed journal, Biological Invasions. Carla Strickland-Hughes, Assistant Professor of Psychology, co-chaired the symposium "Maximizing the Impact of Cognitive Interventions" at the 2018 International Conference of Learning and Memory, hosted by UC Irvine. Her co-authored talk discussed the importance of beliefs in memory strategy training, demonstrating near transfer effects and enhanced self-regulation. Strickland-Hughes co-authored and presented "Brief Strategy Training Enhances Targeted Memory and Beliefs and Promotes Near Transfer" at the 2018 Cognitive Aging Conference, hosted by Georgia Tech, May 3–6. Xiaojing Zhou, Professor of English, chaired the panel on "Revisiting the Camps: Internment, Activism, Alliance" and presented the paper "The Politics of Re-imagining Kinship between American Indians and Japanese Americans" at the 2018 Association for Asian Americans Studies conference in San Francisco, March 29–31. James Haffner, Professor of Opera, presented his research in how the Michael Chekhov acting technique intersects with music and choral conducting at the American Choral Directors Association Western Region Conference. Feilin Hsiao, Associate Professor of Music Therapy, and Ruth Macgregor '16 presented "Caregiver-facilitated Music-based Protocol for Persons with Dementia: Dialogues between Clinicians and Researchers" at the 2018 Regional Conference of the Western Regional Chapter of the American Music Therapy Association, held in Ontario, California. Parvati Iyer, Assistant Professor of Preventive and Restorative Dentistry, and Richard White, Associate Professor of Preventive and Restorative Dentistry, were selected to present an American Dental Education Association (ADEA) webinar "Chew on This! A New Tool for Flipped Classrooms and Teaching Occlusion" on April 26. They first presented their educational innovations at the 2018 ADEA Annual Session and Exhibition. Lindsey Blanchard, Associate Professor of Lawyering Skills, will present "Things Have Changed Since You Were in Law School: Tips for New Teachers" at the Legal Writing Institute Biennial Conference at Marquette University Law School in Milwaukee, Wisconsin, July 11–14. Adrienne Brungess, Professor of Lawyering Skills, is presenting on a panel with Legal Writing Institute's Global Legal Writing Skills Committee on "Teaching Students (and Ourselves) to Think Globally: The Why, What, and How of Infusing Transnational Law into the JD Legal Skills Curriculum" at the 2018 LWI (Legal Writing Institute) Biennial Conference July 11–14. She also will present a poster on "Integrating Tech and Maximizing Student Engagement: A Case for Laptops in the LRW Classroom." Leslie Gielow Jacobs moderated a panel on May 11 for the City of Sacramento's Law Day event on the topic of separation of powers with panelists Presiding Judge David De Alba and Mayor Darrell Steinberg. Jacobs spoke on campus free speech and restrictions at a panel discussion at Sacramento State University, "Will Free Speech Survive," hosted on April 10 by the Goldwater Institute and the Sacramento State Republicans student group. Jacobs gave a Minimum Continuing Legal Education (MCLE) presentation on "The Politics of Sexual Harassment" as part of the Conference of the California Bar Association Legislative Day on March 19. Francis J. Mootz III, Professor of Law, presented a webinar on March 27 to members of the Independent Insurance Agents and Brokers of California on "Recent Cannabis Coverage Cases: What You Absolutely Need to Know." Jeffrey Proske, Professor of Lawyering Skills, will be on the panel "Understanding Cultural Competency as a Core Lawyering Skill" at the Legal Writing Institute Biennial Conference at Marquette University Law School in Milwaukee, Wisconsin, July 11–14. Michael Hunter Schwartz, Dean, completed a two-day consulting project at Thurgood Marshall School of Law at Texas Southern University, which included conducting the five-hour training program "Assessment Plus." He also gave the faculty presentation "Candor with Care" at Albany Law School in Albany, New York. He was one of two presenters for the podcast "The Path to Law Student Well-Being," sponsored by the Law School Assistance Committee to the American Bar Association Commission on Lawyer Assistance Programs. Brian Slocum, Professor of Law, presented "The Potential and Limits of Corpus Linguistic Analysis for Legal Interpretation" at Historical Semantics and Legal Interpretation: Applications held at the University of Chicago Neubauer Collegium for Culture and Society. John Sprankling, Distinguished Professor of Law, spoke on the "Top 10 Real Estate Cases of 2017" at the 37th Annual Real Property Law Section Retreat of the California Lawyers Association on April 20. Michael Vitiello, Distinguished Professor of Law, will present a paper on personal jurisdiction at the Southeastern Association of Law Schools annual conference Aug. 5–11. He also will present at a West Academic Publishing Company event on experiential learning. Suzanne Galal, Associate Professor of Pharmacy Practice, recently released the extended play album, Body. The album was reviewed by KQED, which discussed Galal's research into the use of music on learning and social and emotional development and how it ties into the music she creates. Daniel O'Neill, Associate Professor of Political Science, presented the paper "Weaving the Maritime Silk Road: Political Institutions and Chinese Influence in ASEAN" at the International Studies Association Annual Convention in San Francisco on April 7. The paper will be included as a chapter in a book he is co-editing on China's Belt and Road Initiative. Sandra Mahoney, Executive Director of Planning and Assessment, and Kori Jones '18 co-presented "Developing Leaders: A Student Affairs Perspective from Two Partnering Institutions," a collaborative project with colleagues from Pepperdine University, at the WASC Senior College and University Commission Academic Resource Conference in Burlingame, California, April 24–25. Mahoney and Deb Crane, Director of Campus Career Partnerships, co-presented "Core Competency in the Co-Curriculum: The Role of Context in an Assessment Triad" at the conference.